This entry was tagged Journey Beyond Travel, Morocco Tourism, Morocco Tours, Socially Responsible Tourism, Sustainable Tourism, Travel to Morocco. Bookmark the permalink. As a tour leader, I really appreciate the creative solution you all came up with. I do think monitoring is a good idea, but hopefully your artisans will do that. Hi Susan! Thanks for your comment. We agree with your thoughts. Right now, we inform the artisans a group is coming and we ask them to call us if any issues arise. We had tried this approach before earlier in the year with another tour operator we were testing the idea out with, and the artisans reached out to us immediately when there was a problem with one of the guides. So right now, all signs point this being a good way to monitor this for now. We’ll continue to work with JBT in the coming year to refine this partnership as it evolves. This is a great post!! I just returned from a trip with Journey Beyond Travel!! I stumbled upon Anou’s website and had no idea the commissions that were involved and how little the talented artisans get to keep when rugs were being sold through the market places. Thankfully Anou put me in touch with Journey Beyond Travel for my trip. 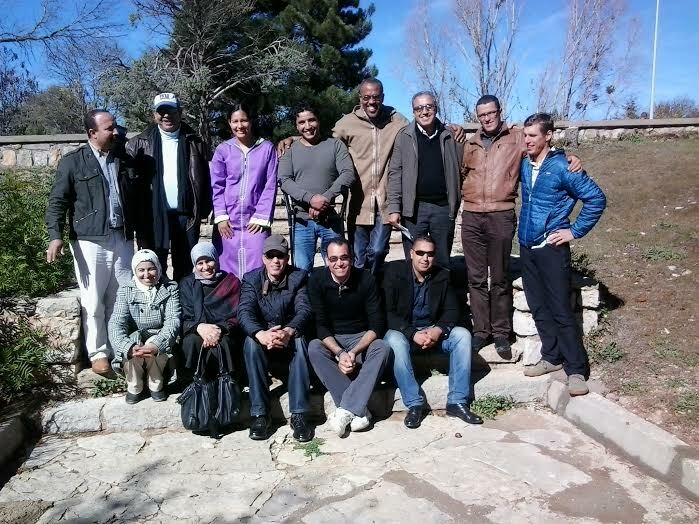 They organized a trip that highlighted the talented artisans throughout beautiful Morocco. The highlight of our trip was when we finally made it to the women’s cooperative. In total we bought three spectacular rugs and we were able to take photos and thank the person that made them. It truly was such a personal and rewarding experience. When I move to a bigger home, I will be back to purchase more. The crew with Journey Beyond Travel was just as appreciative that we wanted to buy direct as the women that we bought the rugs from. It truly was an experience that I will never forget.